Pooya Badkoobeh was born into a theatrical Tehran family on January 5th 1983. His father was a well-known children’s TV director and producer, so Pooya spent much of his childhood on set. He graduated in graphics from the Tehran School of Art in 2000 and then graduated in theatrical studies from the Azad University of Dramatic Art in 2005. Since 2003 he’s been working in TV advertising, making both commercial and cultural spots. Parallel to this, Pooya has also made 2 short films, both of which have won national and international awards. Dressage is his first feature film. 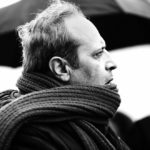 Born in 1967 Hamid Nematollah worked as an assistant director from 1993 until 1997. In 1996 he started writing for television and working on TV commercials. 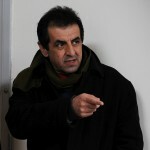 His series, WHITE ALARM, remains one of the most popular television events in recent Iranian history. Abbas Amini was born on March 9, 1983 in Abadan, Iran and started making short films at the age of 13. 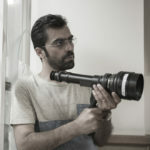 In 2001 he moved to Tehran and was involved in several feature films as a director’s assistant. He then began making documentary films and became especially orientated towards social and child welfare issues. He has since directed a number of shorts and documentaries on social issues and the terrible consequences of the Iran/Iraq war. His keen interest in child welfare led him to work as a volunteer for the ‘Association for the Protection of Child Labourers’ (APCL) over the past 10 years. 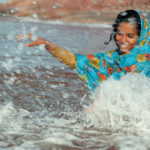 APCL, established in 2002 as the first NGO to focus on the issue of child labour, educates underprivileged children and improves their skills and living conditions by working on their critical problems. “Hendi and Hormoz » is Amini’s second feature fiction film as a director. Vahid Vakilifar was born on May 1st 1981 in Kermanshah, Iran. 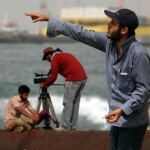 He graduated with a Master’s Degree in Film Direction from Soureh University,Tehran. He has been the assistant director on several feature films by renowned directors. 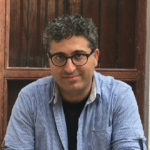 His debut feature film Gesher (2010) and his second one Taboor (2012) have won numerous awards and have been featured at many international film festivals including but not limited to San Sebastian IFF, Rotterdam IFF, Busan IFF, Tribecca IFF, Thessaloniki IFF, Edinburgh IFF, Sidney IFF, Miami IFF, Tallinn Black Nights IFF, Nante-3 Continents IFF, Paris IFF and Rome IFF amongst others. With his unique and extremely personal style, Vahid has been able to set himself apart as a distinctly notable filmmaker in the eyes of cinematic and artistic experts worldwide. This is exactly why the critics of ‘Film Cult’ and ‘Indiewire’ included Vahid’s film Taboor in the top ten best unreleased films of 2013. Mona Zandi Haghighi was born on October 20, 1972 in Tehran, Iran. She is a Writer, Director, Producer and Editor of short films, documentaries and feature films. Her art works belong to the cinema of post-revolutionary Iran, which focuses on contemporary social issues within Persian culture. Jamshid Mahmoudi was born on March 29, 1983 in Parvan, Afghanistan. Hardly one-year-old his family sought refuge in Pakistan and then in Iran. He developed his passion for cinema from a very early age. 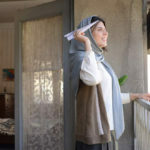 Having obtained his high-school diploma he passed the entrance exam for Tehran’s University of Art but preferred working on projects with his film producer brother, Navid Mahmoudi. 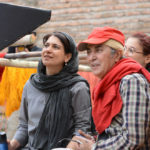 He was assistant director before directing his first TV film in 2008. In 2012, thanks to Navid’s support, he directed his first feature, ‘A few Cubic Metres of Love’, inspired by a true story that took place in Kabul. Born in Tehran in 1960, Safi Yazdanian graduated in Cinema from the city’s University of Arts in 1988. He began his career as a reviewer and columnist in numerous well-known Iranian magazines. 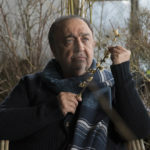 In 1995 he ventured into filmmaking with a series of documentaries and in 2005 directed his first short fiction, ‘My Boats’, winning the best film award at the Tehran Short Film Festival. ‘What’s The Time In Your World?’ is his first feature. Né Le 6 septembre 1960 à Téhéran, Safi Yazdanian est diplômé de cinéma à l’Université des Arts de Téhéran en 1988. Il commence d’abord sa carrière comme critique et essayiste dans de prestigieuses revues iraniennes. En 1995, il débute dans le cinéma en réalisant de nombreux documentaires, puis se lance en 2005 dans la fiction avec « Mes bateaux » qui obtient le prix du meilleur film au Festival du court métrage de Téhéran. « Quelle Heure Est-Il Dans Ton Monde? » est son premier-long métrage. 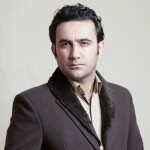 Ebrahim Irajzad was born on July 19th 1981 in Mashhad, Iran. 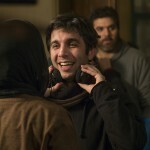 He received his BA degree in Film Direction at Isfahan’s Sooreh University in 2006. He then directed a series of short films that gained both national and international success. His 2012 short, A Few Kilometers Away, was selected for the Rotterdam International Film Festival, amongst others. His 2016, short, Reed Bed, was awarded the second prize for best film adaptation at the Tehran Short Film Festival. His first feature, Searing Summer, was selected for the competition section of the 35th Fajr Film Festival. After having set the record for the highest number of award nominations, it went on to receive the Crystal Phoenix for best cinematography and editing. Born in Oroumieh, Iran, in 1985, Navid DANESH fell in love with cinema at university. 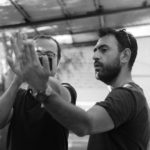 After graduating with a degree in English translation in 2006 he began filmmaking at the workshops of well-known directors Abbas KIAROSTAMI and Asghar FARHADI, directing five shorts. His latest short film, “Duet”, was selected for the ‘Cinefondation Selection’ of the 2013 Cannes IFF. Né à Oroumieh (Iran) en 1985, Navid DANESH est tombé amoureux du cinéma alors qu’il faisait des études de traduction de langue anglaise à l’université. 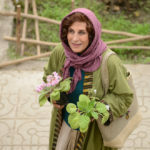 Après avoir obtenu sa licence en 2006, il commence à réaliser des courts métrages dans les ateliers d’Abbas KIAROSTAMI et d’Asghar FARHADI. Son dernier court métrage, « Duet » a été sélectionné en 2013 à la Cinéfondation du Festival de Cannes. Saeed Roostaee was born in Tehran, Iran in 1989. He graduated in Art and Cinema Direction from Sureh University.